At JML Audio, we are experts at installing remote car starter systems. We have the most comprehensive range of products and vehicle-specific integration technologies that allow seamless operation from a wide range of controller possibilities. Whether controlled by an original factory-style remote, an extended range aftermarket remote or a smartphone app, let us show you all of the excellent remote starter possibilities we offer. Paired with our expert installation, you’ll be enjoying a warm and ready-to-drive vehicle in no time on those cold Winter mornings and a cool interior on those hot summer days. One of the critical advantages we provide our clients at JML Audio is that our remote starter systems are all installed with careful attention given to ‘how’ the remote starter system interfaces with the vehicle’s complex electronic systems. Many of today’s vehicles have encrypted electronic keys that provide an added measure of security. Without the correctly coded key, the vehicle will not start. We take the added step of using sophisticated interface hardware with computer-based firmware that emulates those encrypted key messages to allow the vehicle to ‘think’ an authorized key is in the vehicle. When you enter with your key, it seamlessly hands off to normal operation without worry of dash warning lights or other issues with the vehicle’s normal operation. We like to say the best compliment we get is that once the vehicle is started, what we install operates seamlessly and is virtually undetectable once you’re behind the wheel. All of the convenience, none of the concern. These are just a small sample of the added safety measures. Our skilled System Design Consultants are always available to provide more vehicle specific information during your personal consultation. 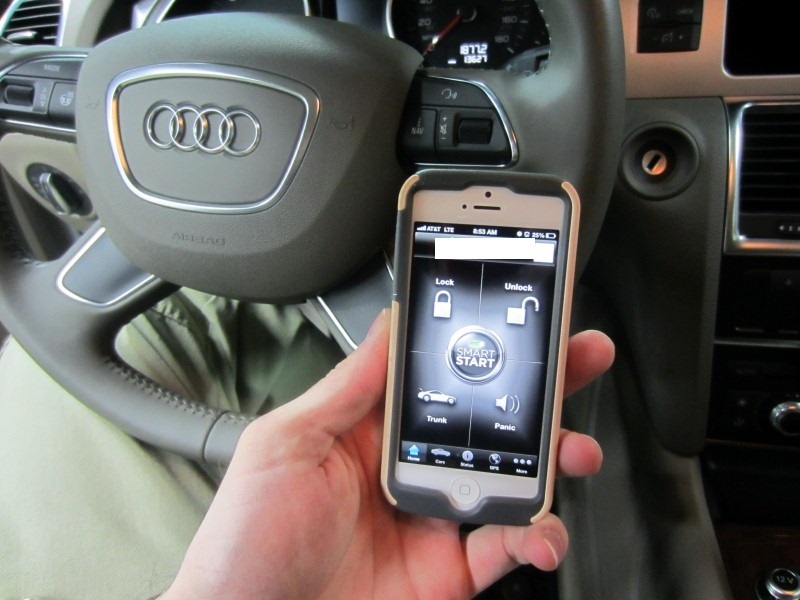 Many of our remote starter systems can also integrate security and/or GPS tracking functions. This makes each client’s solution address specific needs and all of the installation can be handled at the same time. By integrating added functionality, we are able to offer our clients the added peace of mind that comes with security systems and GPS tracking. Choose to integrate only security, only GPS tracking via a smartphone app, or both. Our System Design Consultants will be happy to show you the possibilities available. Remote starting your vehicle from inside your home or office is a great solution to have, but it’s a very sensible solution, too. Starting the engine and allowing it to warm up can extend the life of the engine and charging system by properly lubricating all the moving parts with engine oil that has come up to temperature. Additionally, the sensibility of having a pre-warmed interior is something that you appreciate every time you use that remote starter on a cold day and a pre-cooled interior on those hot summer days. Visit us at JML Audio today and let us show you how a remote starter properly installed into your vehicle will also enhance your lifestyle. Remote starting your vehicle from inside your home or office is a great solution to have, but it’s a very sensible solution, too. Starting the engine and allowing it to warm up can extend the life of the engine and charging system by properly lubricating all the moving parts with engine oil that has come up to temperature.